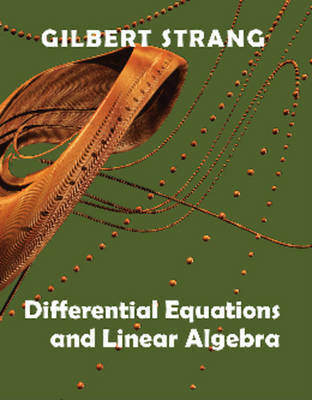 Differential equations and linear algebra are two central topics in the undergraduate mathematics curriculum. This innovative textbook allows the two subjects to be developed either separately or together, illuminating the connections between two fundamental topics, and giving increased flexibility to instructors. It can be used either as a semester-long course in differential equations, or as a one-year course in differential equations, linear algebra, and applications. Beginning with the basics of differential equations, it covers first and second order equations, graphical and numerical methods, and matrix equations. The book goes on to present the fundamentals of vector spaces, followed by eigenvalues and eigenvectors, positive definiteness, integral transform methods and applications to PDEs. The exposition illuminates the natural correspondence between solution methods for systems of equations in discrete and continuous settings. The topics draw on the physical sciences, engineering and economics, reflecting the author's distinguished career as an applied mathematician and expositor.